Hi, I'm Dixie the founder and owner of Your Yoga Studio. 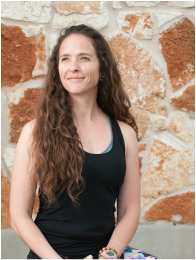 I'm a Registered Yoga Teacher (RYT) with the Yoga Alliance having over 200 hours of training in vinyasa, kids, seniors, and prenatal yoga. I'm also certified in Therapeutic Yoga and Thai Yoga Bodywork, have a second degree Black belt in TaeKwonDo, and a yellow belt in Brazilian Jiu-Jitsu. I teach a functional fitness style yoga class, with an emphasis on fun! You may find yourself smiling, giggling or even laughing out loud. The Your Yoga instructors make sure everyone finds their place in each pose. We try to remove the mystery and intimidation out of yoga by making it fun and accessible to everyone. I regularly host beginner, advanced, and specialty Yoga training seminars for YogaFit and teach yoga for Corporate clients. I was born and raised in Austin,TX. My yoga journey started about 18 years ago when I took my first yoga class. Originally, I started practicing yoga as a way to improve my flexibility and supplement my fitness routine. Soon I realized that I had gained so much more than flexibility, I had gained a deep connection along with an understanding of my body that reminded with me well off my mat. Upon this realization I was hooked on practicing yoga. I continued my yoga exploration learning many different styles of yoga as well as the yogic philosophy. In 2011 with the encouragement and support of Dixie, I began to teach yoga. I quickly began to discover that I thoroughly enjoyed encouraging others to discover and/or deepen their personal practices. I was born and raised in Germany and having fun is what I do best. I've always been very active and outdoorsy. In my family, walking and bicycling were part of our daily lives and it was normal for us to hike 15+ miles on a Sunday. I met my husband Tony, a GI at the time, got married, had a daughter, and in 1995 we took on the challenge of leaving our comfortable life in Germany for a new start in the U.S. We began our adventure on South Padre Island, Texas. Living on the beach, we spend most of our time outdoors – swimming, bicycling, flying kites and lots of walking. In fact, the only real need for a car was to cross the bridge to get to the mainland. In 1999, we moved to Austin to rejoin the "real world". My husband and I both love live music and readily take advantage of everything that Austin has to offer. The two things that keep me calm and balanced in my fast-paced (sometimes quite crazy) life-style are the rejuvenating waters of Barton Springs pool and yoga. I started practicing vinyasa yoga in 2002. I was so happy when I found Dixie at Your Yoga, as I always felt a bit out of place in other studios. I enjoyed it so much that I wanted to learn more and, in June of 2013, started my teacher training with YogaFit. Since then I also became certified in Yoga for Seniors and Yoga with Props. In many cases props assist in achieving correct alignment and help to reduce the risk of injury. My focus lies on strengthening the stabilizing muscles (core and glutes) and shoulders, as well as improving posture. These are all very important aspects to get us safely through our daily lives. I have been practicing yoga on and off for over 20 years. I found therapeutic yoga through some health challenges, and not long after became a certified instructor. I am currently enrolled in a program to become a yoga therapist. It is a blessing to lead students to develop awareness of mind, body, and spirit, which translates off the mat to prevent injury, manage stress, and explore the deeper things in life. I enjoy music, language and travel, being a part of a church family, and being a wife and mother of four children. I've lived all over the north east and Texas so I'm not really "from" anywhere. However, I have lived in Texas the longest. I found yoga while completing my Bachelors in Psychology. I was immediately hooked. Yoga gave me such peace of mind and clarity, that I knew it had to become part of my routine. I completed my teacher training with Red Dawg in San Marcos. 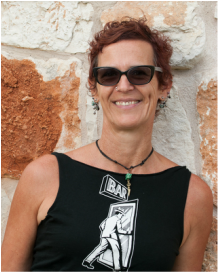 My teaching style is vinyasa-based with a focus on strength and flexibility, with some groovy tunes. I believe that mindfulness and meditation are very important for a well rounded yoga practice. I am involved in a 300 Hour yoga teacher training program. My hobbies include traveling, music festivals and hanging out with my dogs and boyfriend. I am currently applying to graduate school for Occupational Therapy. I'm a certified yoga teacher, personal trainer, and holistic health coach. I'm also a writer and a mom. I began teaching yoga in New York City in 2010, receiving my first training from Sonic Yoga in Vinyasa Flow. It was a very spiritual and transformative experience. I was then hired to be a full-time yoga teacher at a Wall Street banking firm. They had less need for spirituality and more need for functional movement cues, so I sought advanced training in embodied anatomy at The Breathing Project. I trained for over 300 hours with Amy Matthews and Leslie Kaminoff, learning everything from the anatomy of the foot (for 19 hours) to where the sacrum got its name. Most importantly, I learned the importance of embodied asana, and how to be a yoga teacher for just about anyone. 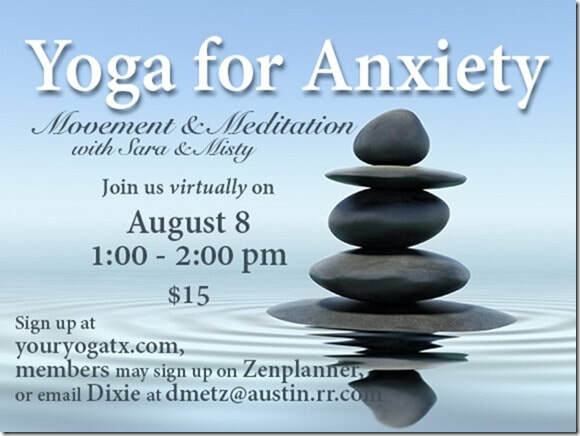 When I moved to Austin five years ago, none of the local yoga studios wanted to hire me. When I met new people and told them what kind of yoga I teach, they suggested I meet Dixie. That was great advice! We are cut from the same rebellious cloth and I adore the community she has created at Your Yoga.